It has been freezing here today. I had to get Jo to bring me out my IceBreaker thermals, Swandri flannel and a beanie turning me into the bogan with a good watch that I really am. 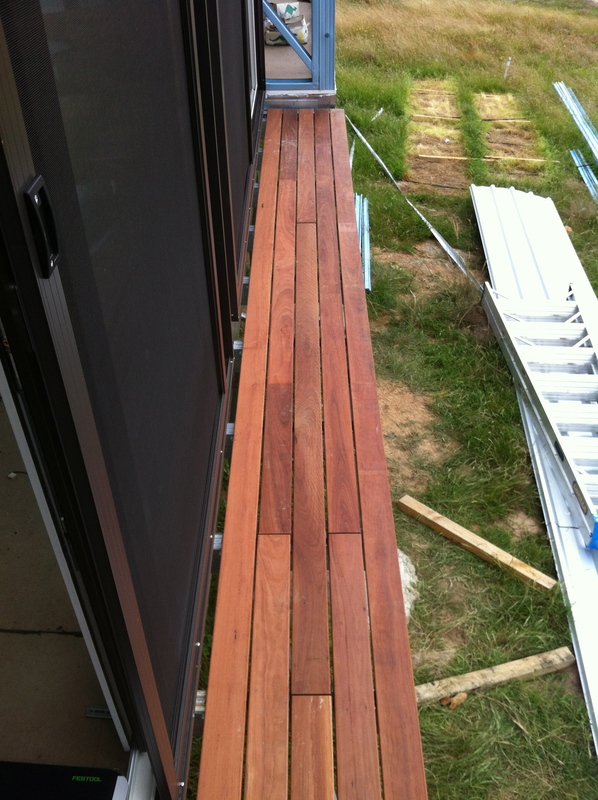 The first 5 Sqm of deck is done only 120 Sqm to go. 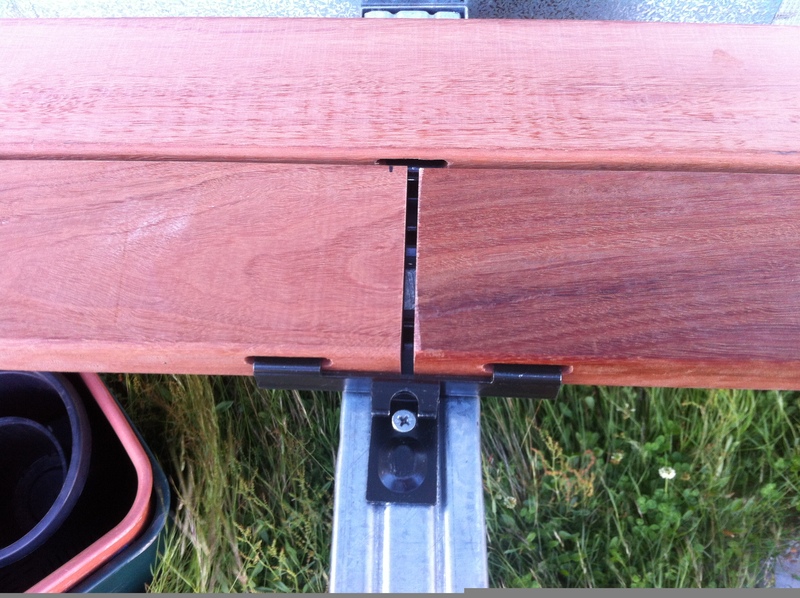 I am using Festool decking clips to do the job, the pics will step you through it. It took me 5 hours to do this bit including swearing time. As with most decks the first board is the frustrating one. not so bad with this bit as the run is only 5m. The run I started to day is 17.5m long which took a long time and a lot of swearing to get straight. Most likely a case of not enough cigarettes and beer. But nearly 7 months without a smoke and going strong. This bit looks great though and the big area will look spectacular, well worth the time and cost. 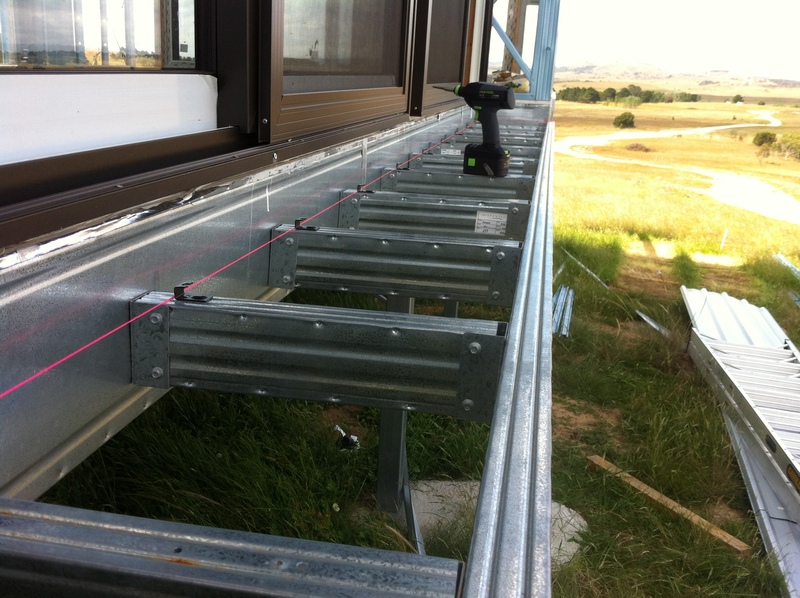 The external wall cladding arrives next week so things are moving along. 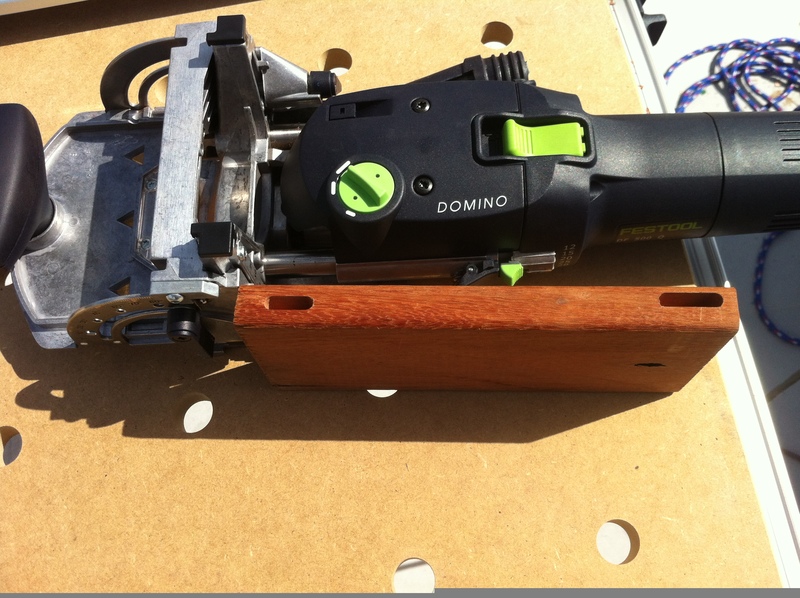 The Festool Domino. Make a test cut, the one on the right is the good one. The end result, consistent gaps, straight lines, no visible screws. 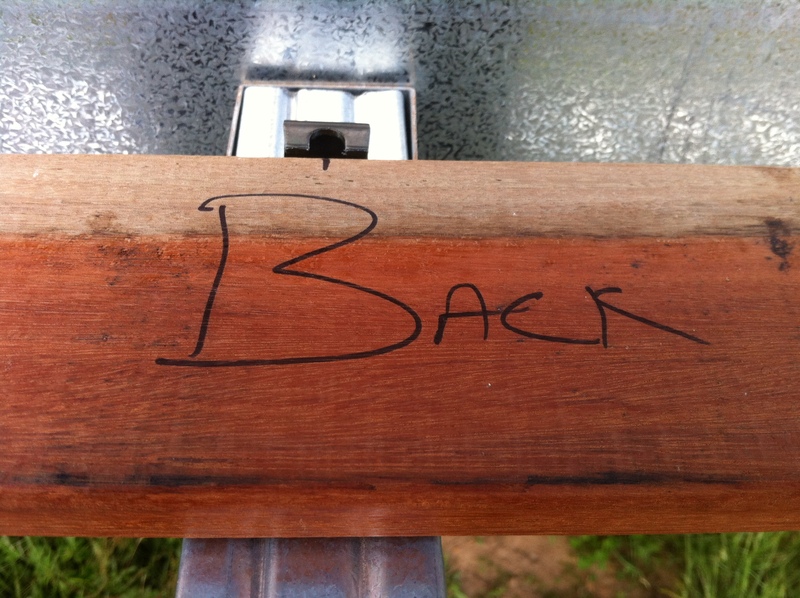 boards are free to expand and contract, beautiful!! Only 120 Sqm to go. 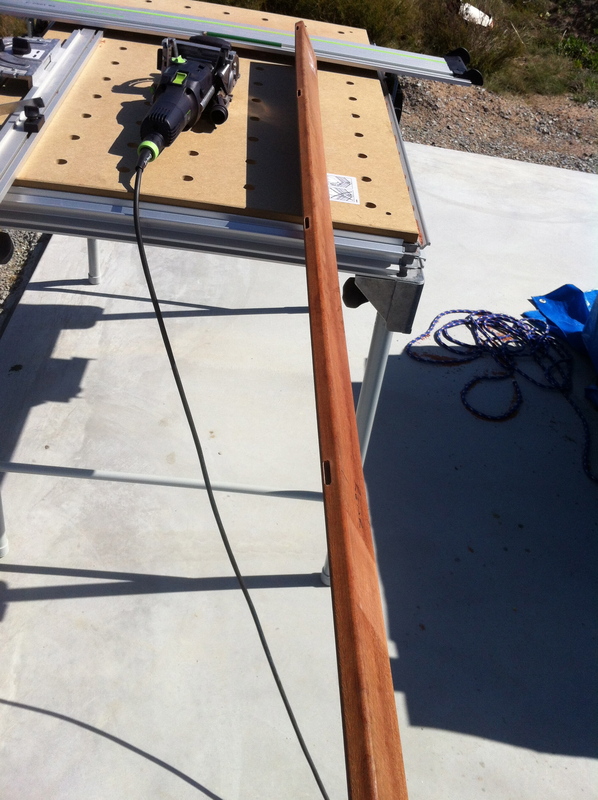 This entry was posted in House and tagged Deck, Domino Decking Clips, Festool, Festool Domino, Festool MFT. Bookmark the permalink.